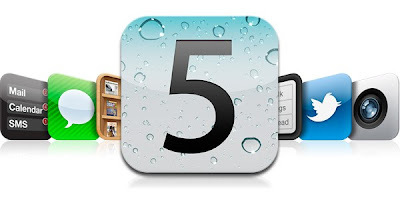 Go the iOS 5 page on Apple’s website and you will come across a long list of features about what this OS can do. These features are extraordinary in themselves, but there are some other things that the iOS 5 can do, but these things aren’t listed. What’s more, there aren’t too many people that are aware about these hidden gems. Let’s take a look at some of them. Yes, the camera app of the iOS provides users with a wonderful new benefit. They can now use their volume key as a camera shutter release. But this is not the end of it. If you have an Apple certified headset, then its volume up button can be used to snap photos. So, photography enthusiasts can mount their iPhones on tripods and indulge in their hobby. There was some experimentation with respect to multi touch gestures for the iPad, when the iOS 4.3 was going to be launched, but it seems the experimentation wasn’t too successful, as the iOS 4.3 didn’t have them for the iPad. But, the iOS 5 has brought multi-touch gestures to iPad users. Switching between running apps on the iPad 2 is now easy as cake. All that the iPad 2 user needs to do, to enable these gestures is to go to setting, and choose multitasking gestures from the general area. Have you had a look at the fonts? Nobody gives them their due, but everybody loves them all the same. Yes, I am talking about fonts. The iOS 5 offers 58 pre-installed fonts and the amazing part is that these fonts show remarkable consistency across all Apple devices that use iOS 5. It seems the iOS 5 really loves the iPad. Yes there is yet another gem of a feature that it offers iPad users. What is allows users to do is it offers new keyboard options, wherein it allows the splitting of the keyboard in two halves. What’s more, users also have the option of moving the two halves up or down on the iPad’s screen. Now, you might say that this isn’t something that you like, but Apple must have considered the fact that there might be plenty of people who love using a split keyboard, that’s why they have offered this functionality in the first place. And whatever your take on this feature, you can’t deny that it is a pretty good idea. Guest Post by: Nysa George is a mobile application development expert working with PLAVEB, based in Los Angeles, California. Nysa keeps herself updated about the latest mobile OS platforms and loves sharing her thoughts about iPhone, Android and iPad app development with other people who have similar interests.